Almost all of this is now gone, and the only evidence of Belan’s former resplendence are the aforementioned stables, the shell of an octagonal tea house, a few obelisks and a small domed temple. For once, however, decline and fall occurred not during the last century but earlier and while members of the Stratford family were still, if only nominally, great landowners. Originally from Warwickshire, the Stratfords seem to have settled in Ireland about the time of Charles II’s restoration in 1660. 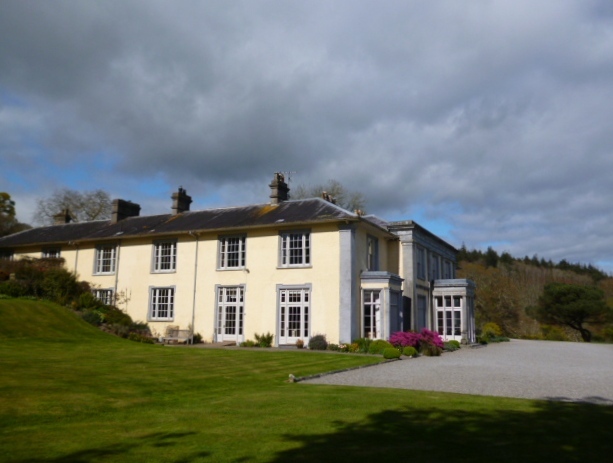 Within a few years Robert Stratford had acquired land around Baltinglass, County Wicklow and thereafter their rise was assured, not least through the ability to return two members to the Irish House of Commons. By 1690 they already owned property at Belan, since in July of that year Edward Stratford found himself successively entertaining the two rival Kings James and William, his personal sympathies lying with the latter. As William ultimately proved the victor, the Stratfords’ political and financial status was further strengthened. 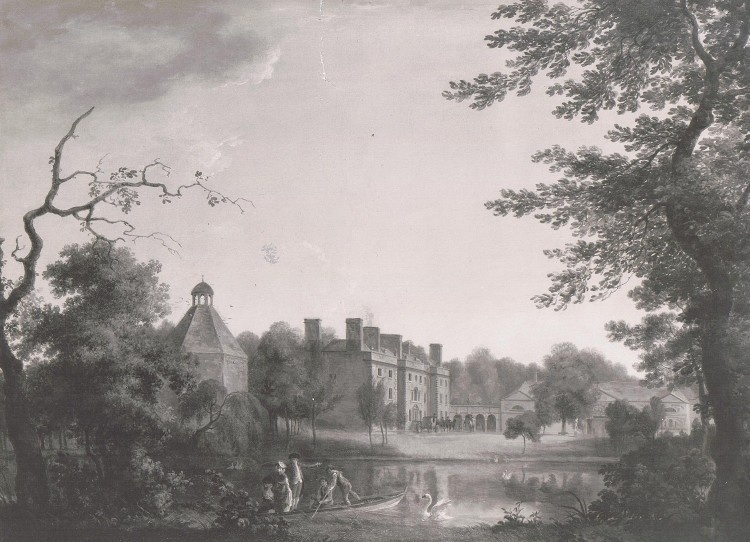 Edward Stratford’s third son John (who was made first Earl of Aldborough shortly before he died in 1777) inherited Belan around 1740 and soon afterwards commenced either to build anew or to enlarge his residence there. The architects for this property are held to have been Richard Castle and Francis Bindon. We cannot say for certain what the house looked like since paintings in which it features by William Ashford (from which the engraving at the top of this piece is taken) and Francis Wheatley (see the very last picture, showing the second Earl reviewing the Aldborough Volunteers at Belan) display differences that suggest to some extent they reflected the owner’s aspirations for the building rather than its actual appearance. Nevertheless we do know the main block, large and plain, was 120 feet long and 44 feet deep, of three storeys with a gabled attic and projecting end bays. To its right were the pair of parallel stable blocks that still survive (albeit in ruinous state), the first of them linked to the house by a curved portico. The fall of the house of Stratford was as spectacular as its rise. 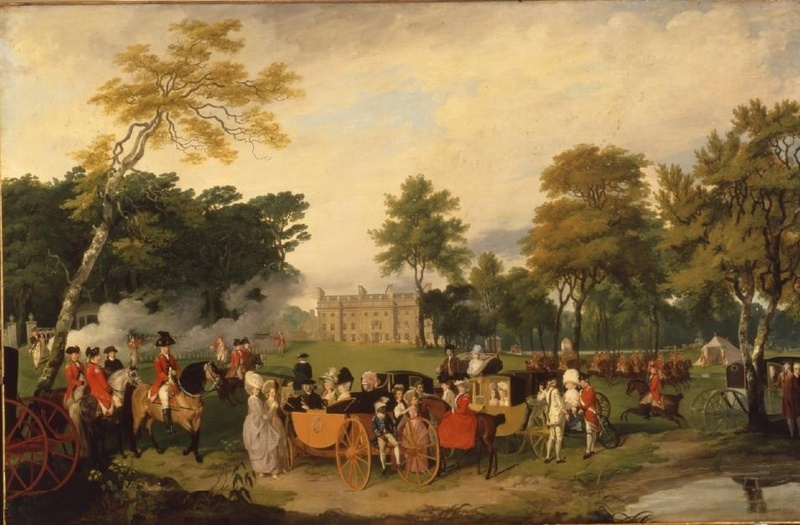 The second Earl, a man of great energy, not only greatly improved the house and demesne at Belan but was also responsible for developing Stratford Place in London and for building the immense (and now sadly dilapidated) Aldborough House in Dublin in the years preceding his death in 1801. Although twice married, he had no children and so a younger brother inherited. The last member of the family to live at Belan, he was likewise childless meaning everything passed to another brother, the fourth Earl who preferred to occupy a house elsewhere on the estate, Stratford Lodge (subsequently destroyed by fire) and who abandoned Belan to an agent more interested in helping himself than in looking after his employer’s property. The next heir, Mason Gerard Stratford, fifth Earl was a hopeless spendthrift who, when short of funds, would visit London money lenders with a gun and threaten to shoot himself if they did not give him cash. He was also a bigamist, possibly even a trigamist, and on his death the eldest son from one of these marriages had trouble claiming a right to the title and what remained of the family property. Sixth and final Earl of Aldborough, he died without heirs in 1875. By that date Belan was already in poor condition and some thirty years later Mrs Sartoris, who remembered the house intact, could write that ‘Beautiful Belan lies in ruins, the wind blowing where it listheth, sighs over the desolate grounds and gardens once so beautiful, a herd lives in the yard, sole occupant of that once lovely demesne.’ As late as the 1940s the main walls of the house still stood, but this shell was subsequently swept away. Today only the remnants of the stables survive to remind us of what once stood on this site and to serve as a warning that nothing is eternal. 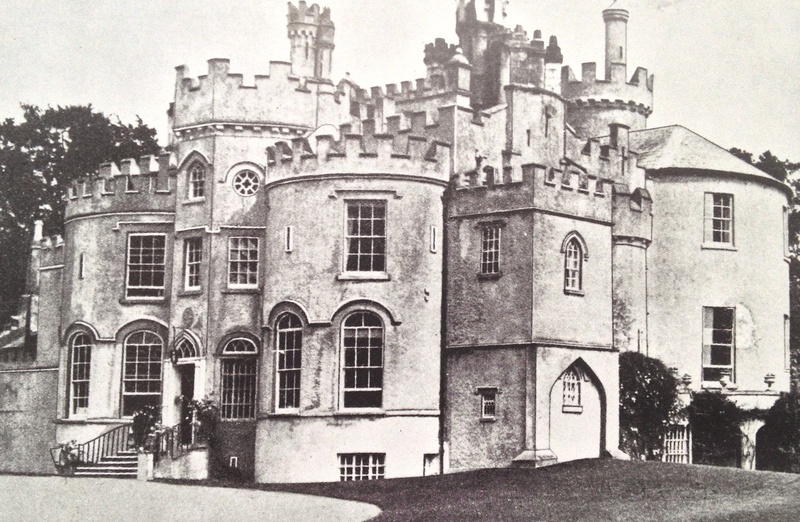 An old photograph of Shanganagh Castle, County Dublin showing the house when all its external decoration was still intact (some has since been removed/lost). Although there have been buildings of that name on the site since the early 15th century, the core of the present structure dates from c.1760 when a plain classical residence was constructed. At the start of the 19th century the property was bought by Major-General Sir George Cockburn who in 1805 commissioned Sir Richard Morrison to remodel the house: the addition of what has been accurately described as ‘a profusion of battlements and turrets’ transformed the place into a fantastical toy fort. The interiors were more restrained not least because Cockburn, who was something of an aesthetically-minded career soldier and had acquired a collection of antiquities, sculptures and paintings during his military career, required a top-lit gallery in which these could be displayed. 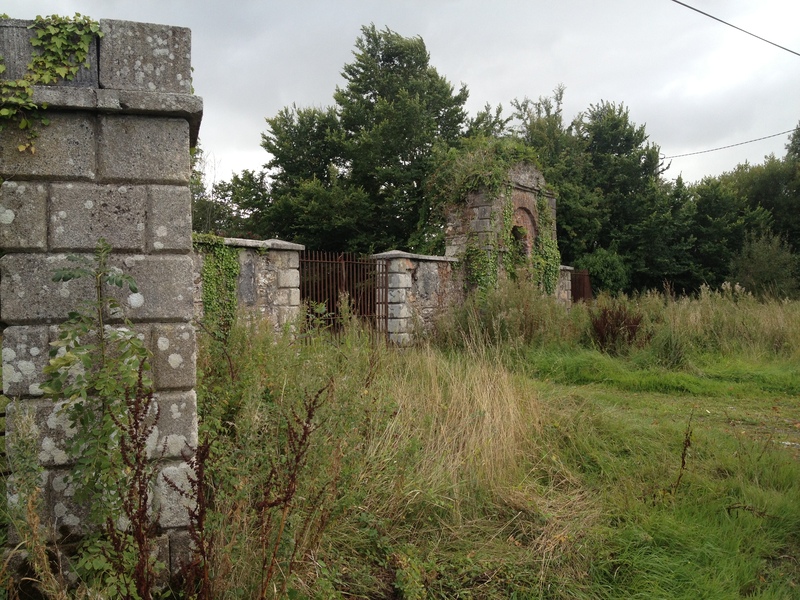 As with so many Irish houses, the history of Shanganagh in the last century was not a happy one: after serving for some time as a Church of Ireland college of education it was converted into an open prison and remained such until closed ten years ago. 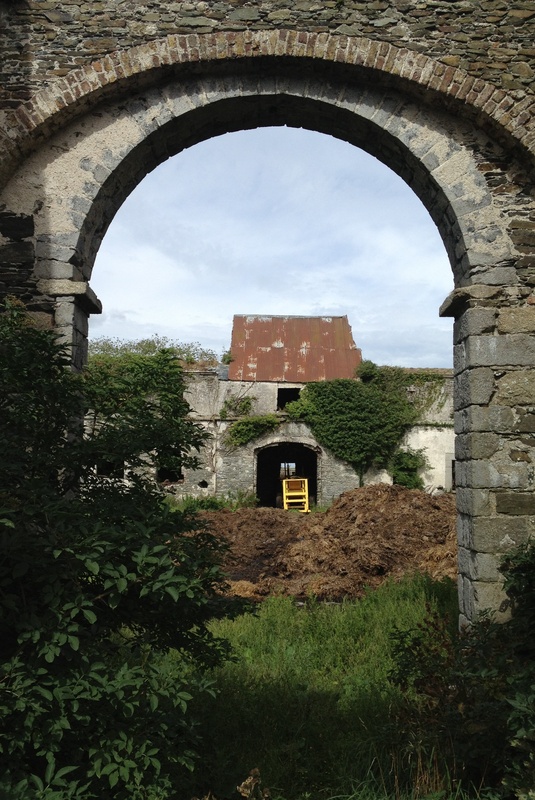 Since then the building has suffered from being left vacant, but earlier this month Dún Laoghaire-Rathdown County Council announced it had acquired Shanganagh and immediately surrounding acreage as part of a complex land-exchange programme. 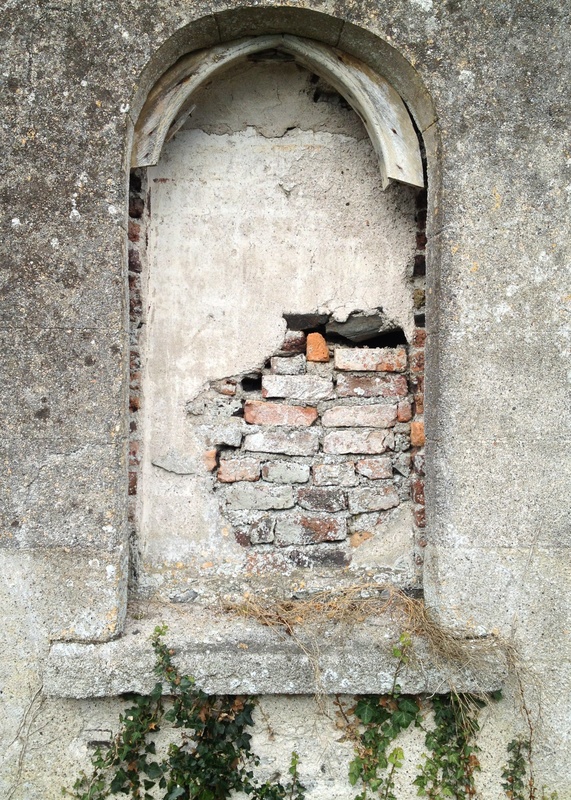 Inevitably the property is now in poor condition and so remedial work must be undertaken to make it secure. 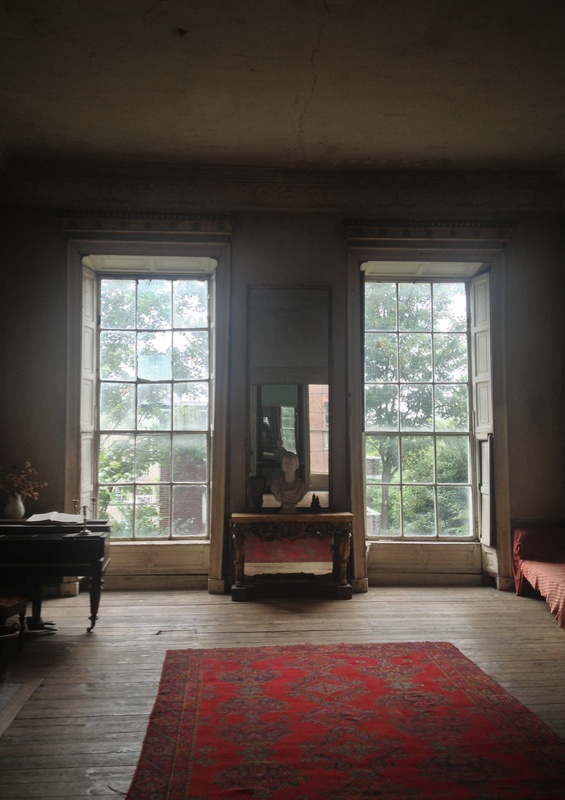 One awaits further developments, not least whether Shanganagh will be returned to the appearance it presents in this photograph. These two portraits of James Barry, fourth Earl of Barrymore and his third wife Lady Anne Chichester are being offered for sale today at Sotheby’s in London. The Barrys were an old, but relatively impoverished Irish family although their finances were greatly improved by the fourth Earl making a succession of advantageous marriages. In the later 18th century they also became noted for their eccentricity: the seventh (and penultimate) Earl who died at the age of 23 in 1793 was one of the period’s most infamous rakes, commonly known as ‘Hellgate.’ (His sister was nicknamed ‘Billingsgate’ owing to her dreadful language, while his younger brothers were respectively called ‘Cripplegate’ due to a club foot and ‘Newgate’ since, as it was a women’s prison, he had never spent time there; in 1791 James Gillray produced a splendid caricature of the three men mocking their various distinctive characteristics). Their rackety lives were not dissimilar from that of another man with the same surname, Redmond Barry, eponymous hero of Thackeray’s 1844 picaresque novel The Luck of Barry Lyndon, and like him they all ended badly. Update: on Tuesday, 24th September the two portraits sold for ₤60,000 and ₤43,750 respectively. 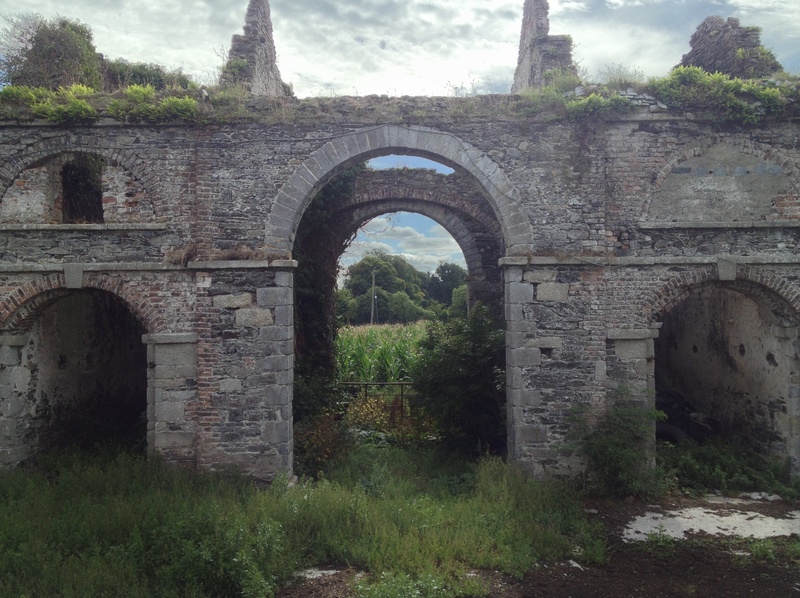 In 1970 the early 18th century Damer House in Roscrea, County Tipperary stood empty and unused, and plans were announced to demolish the building; the local authority intended to replace the house with an amenity centre comprising swimming pool, car park, playground and civic centre. North Tipperary County Council chairman Tom Shanahan justified this proposal with the argument that as long as the house stood, ‘it reminds the Irish people of their enslavement to British rule’ and dismissed objectors to the scheme as ‘a crowd of local cranks.’ The notion that Damer House represented the outstanding qualities of Georgian craftsmanship, or that it might be a major tourist attraction for the area clearly never occurred to Mr Shanahan. Both these factors have since come to be understood, but four decades ago, the building’s inherent worth was grossly under-appreciated. Damer House dates from the 1720s and is believed to have been built for John Damer soon after he bought the town of Roscrea in 1722. 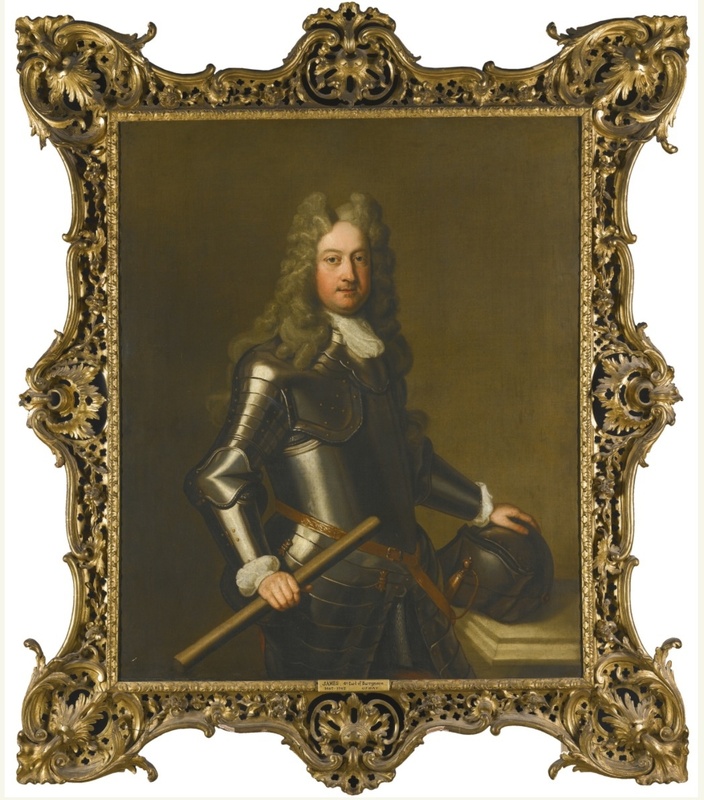 Damer’s uncle, Joseph Damer, originally from Dorset, settled in Ireland in the aftermath of Charles II’s restoration in 1660 and prospered as a Dublin moneylender, to the extent that he was able to purchase estates in North Tipperary. Having no children of his own, he brought over his nephew John both to assist him in the business and to inherit his wealth. Damer House is unusual in that it stands in the centre of a 13th century castle on which work commenced during the reign of King John although the present structure is of a slightly later date; it survives largely intact, not least the immense gate tower rising more than 90 feet with walls some eight feet thick. This castle was under the control of the Butler family, if only sometimes theoretically, until 1703 when the second Duke of Ormonde sold his Roscrea territory to the King’s Hospital in Kilmainham; less than twenty years later the place was sold again, this time to John Damer whose uncle had since died and left him extremely wealthy. Given that peace had only recently come to the country, one can understand why Roscrea’s latest owner might have thought it best to build his new residence within the protective walls of the castle, but he and his descendants do not seem to have spent much time there, since they also developed a large estate elsewhere in the county and, following John Damer’s own death without direct heirs, his nephew – another Joseph Damer – preferred to live in England where in 1792 he was created first Earl of Dorchester; in the following century Damer House passed into the hands of another branch of the family, the Dawson-Damers who were Earls of Portarlington and whose main seat was Emo Court, County Laois. 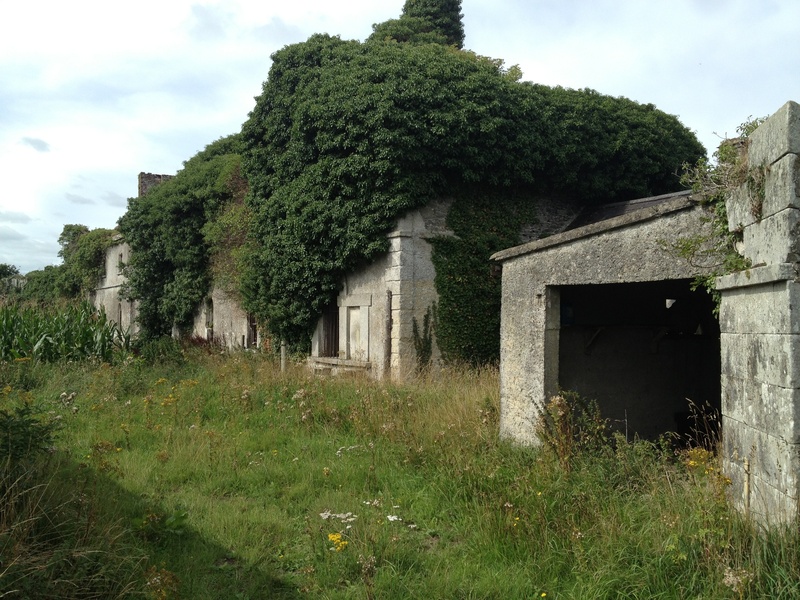 Meanwhile the house in Roscrea became an army barracks, then at the start of the last century successively a school, a tuberculosis sanatorium and a local library. Of three storeys over basement and with unusually tall narrow windows spread across nine bays, the pre-Palladian Damer House has a large annexe to one side, probably added during its time as a military barracks. 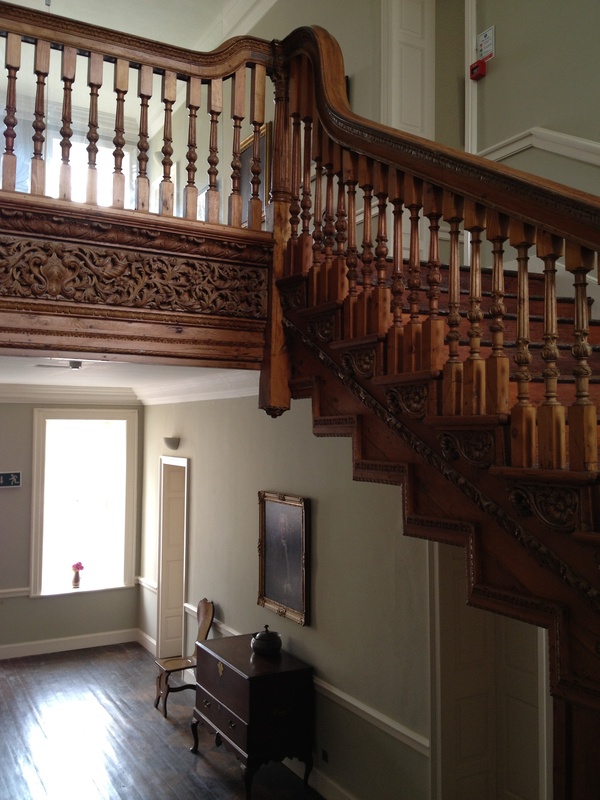 Internally the finest extant feature is a carved pine staircase, in style not dissimilar to that of the slightly later Cashel Palace. 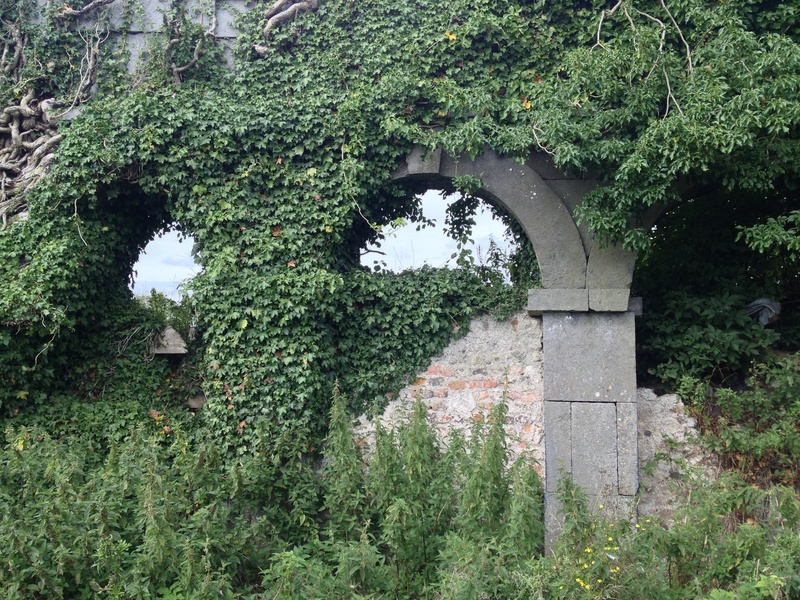 Whatever other decorative features the Damers may have commissioned did not survive changes of use, but the building retains a purity of form that makes it of enormous importance in the history of Irish architecture. Yet by the early 1970s Damer House was suffering from the consequences of long-term neglect, hence the local authority’s proposal to sweep it away rather than engage in a programme of restoration. 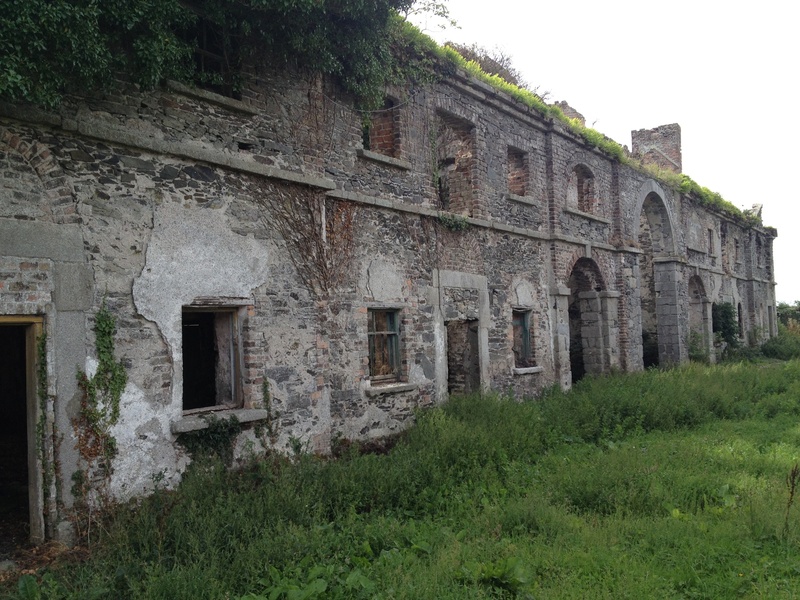 Fortunately at this point the Irish Georgian Society then intervened and offered to take over the building on a lease and assume responsibility for its salvation. 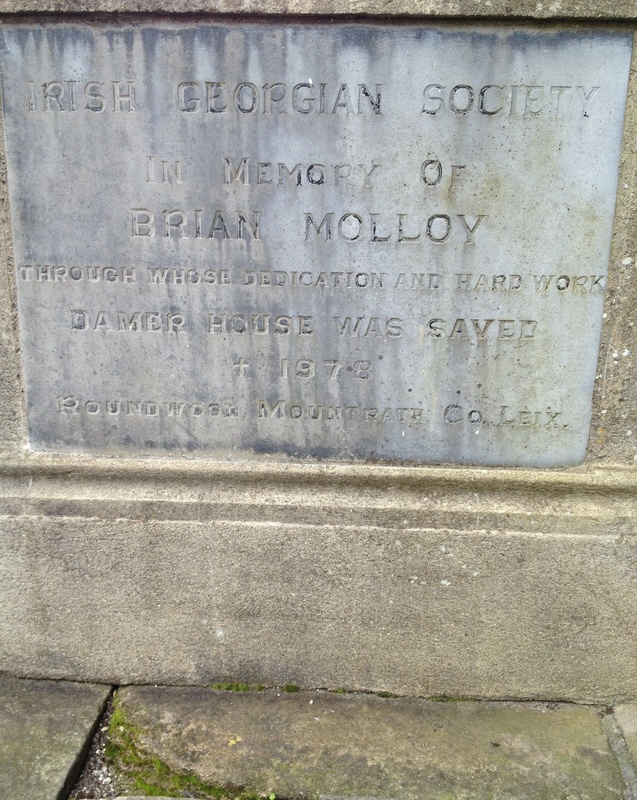 Work on this project began in August 1974 and was overseen by one of the IGS’s most industrious and committed members, Brian Molloy whose death four years later is still to be regretted. Much of the work was undertaken by volunteers who cleared away accumulated rubbish and debris, and removed unsightly additions to the house such as partition walls while professionals worked on repairing the roof and so forth. 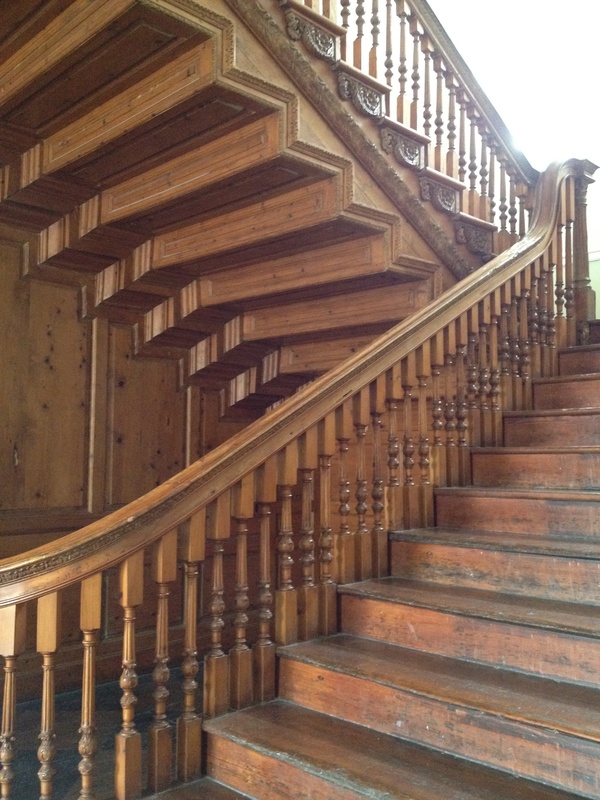 In 1976 the early 18th century carved pine staircase, which was coated in centuries of paint, was cleaned and restored to its original splendour and the following year the house was officially opened to the public. 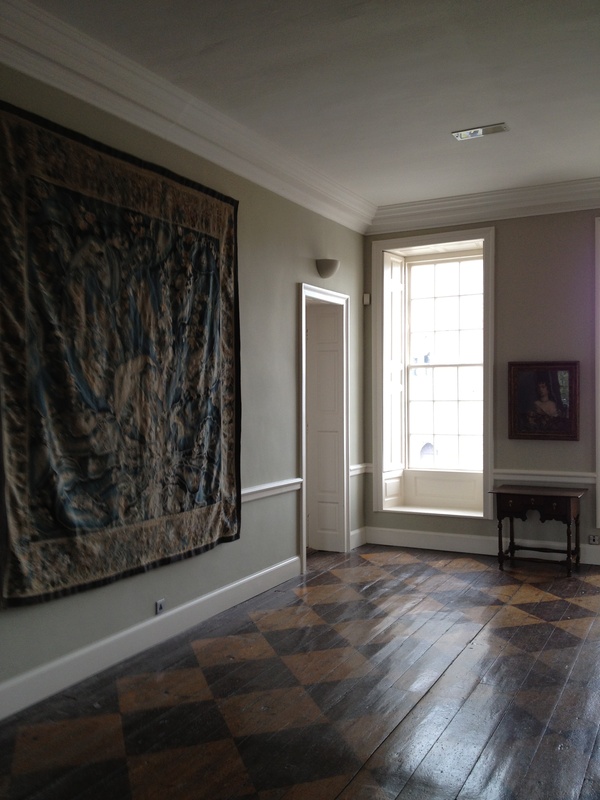 With aid from a number of public bodies, the house’s annexe was next restored for use as a heritage centre; the first of its kind in Ireland, this opened to the public in 1983 and shortly afterwards won a special award from the adjudicators of European Museum of the Year. 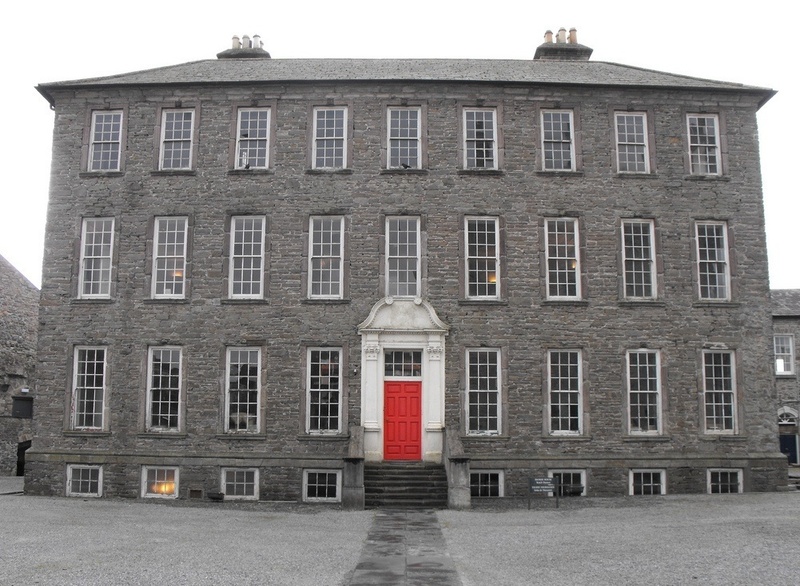 At the end of that year, control of Damer House was handed over to the Roscrea Heritage Society which later in turn leased the premises to the Irish State; by this means Damer House’s future has been secured. 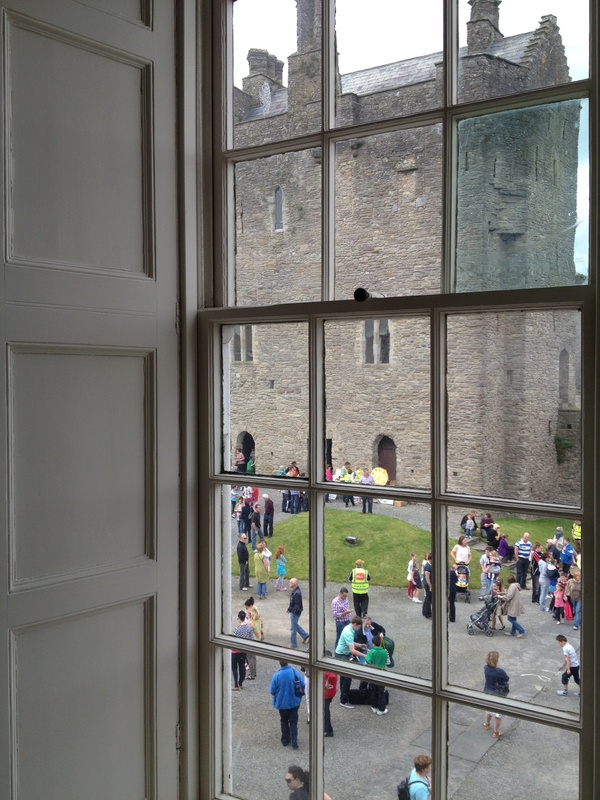 During the 1990s more work was completed not just on the house, but also on Roscrea Castle and its gardens. Today the entire complex has been refurbished and welcomes visitors. Aside from its evident merits, Damer House is personally special because in 1983 my first job after university was to act as curator of the building, contentedly living in a first-floor flat on the premises (those two windows furthest right on the first floor were my bedroom) and gaining knowledge that has proven invaluable ever since; this month marks the thirtieth anniversary of my taking up that position. Meanwhile this week marks the first anniversary of the advent of The Irish Aesthete. It has been a fascinating year in which I have likewise learnt an enormous amount (and become something of a proselytiser on behalf of social media). 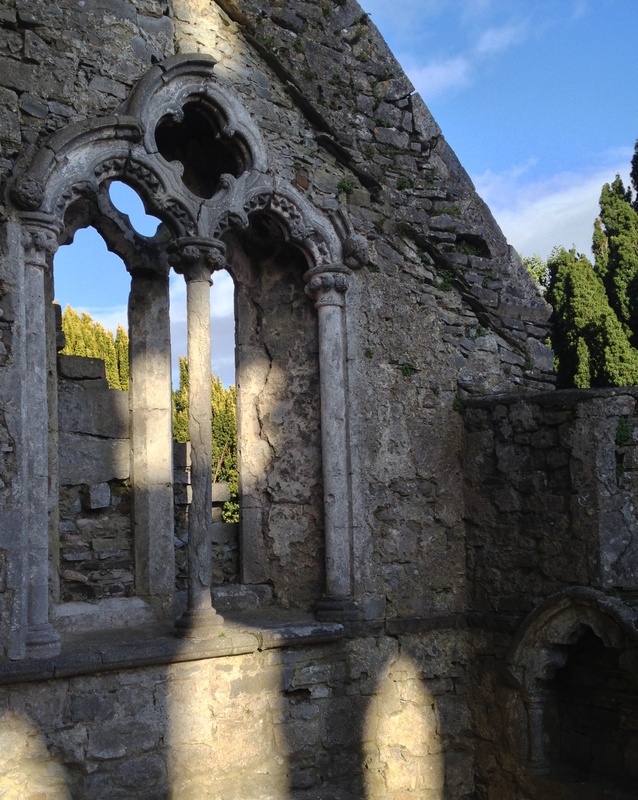 I should like to thank all those who have been following the site for the twelve months past and hope that you will continue to do so for the twelve ahead during which there will be abundant opportunities to explore further Ireland’s architectural heritage. 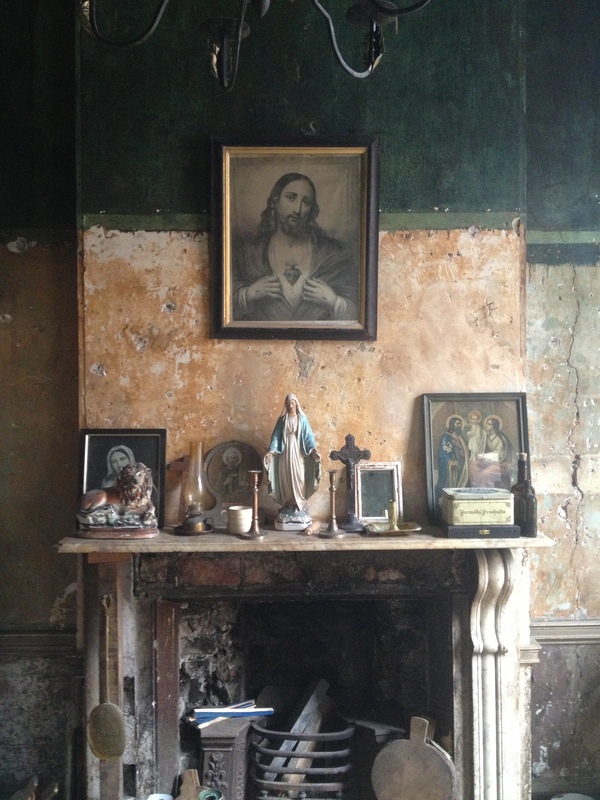 Comments and enquiries are always welcome, as are suggestions of where else might be discussed; every writer needs readers and I am most appreciative of anyone who has taken the trouble to participate in and engage with The Irish Aesthete since September 2012. 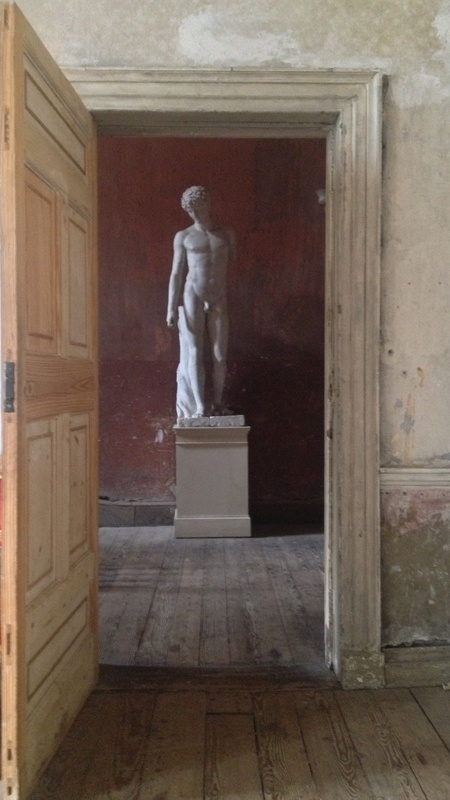 It is also worth noting that The Irish Aesthete has been short-listed for the 2013 Ireland Blog Awards in two categories: Best Arts and Culture and Best Newcomer. Finalists will be announced next week. In conclusion, today provides an opportunity to remember Brian Molloy the twenty-fifth anniversary of whose death fell recently and whose dedication to the causes many of us hold dear remains an inspiration. 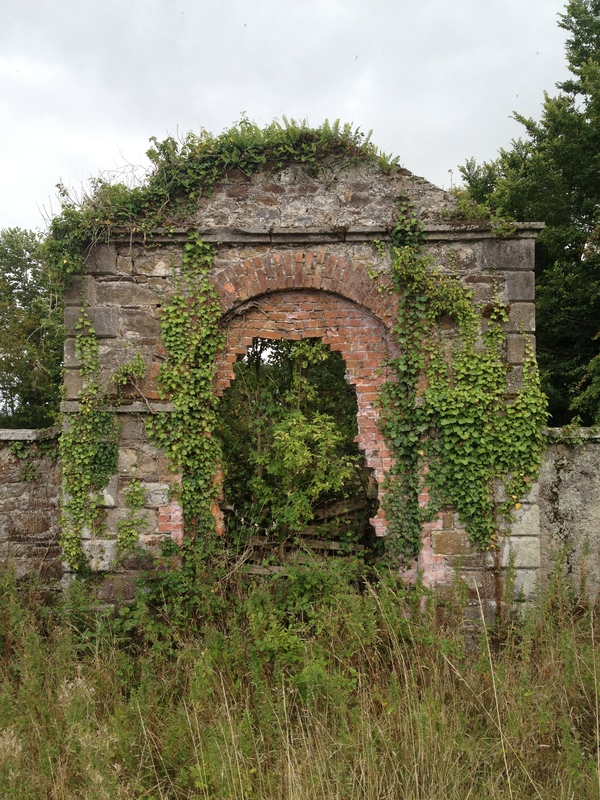 Spotted recently on a minor road in County Kilkenny, this handsome pedimented arch which is flanked on either side by gates. These in turn lead to quadrants terminating in large cut-stone posts. 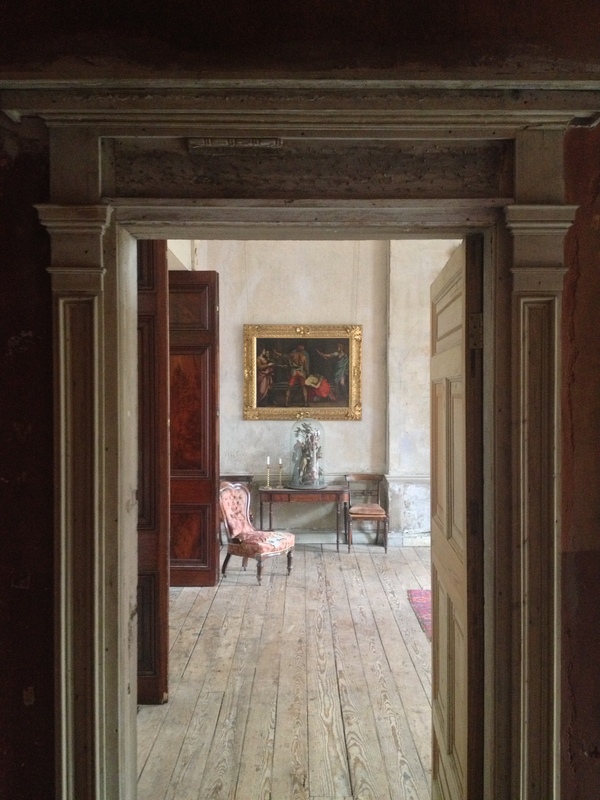 The whole is most arresting despite being in a sad state of disrepair, and appears once to have been the entrance to an estate called Ringwood. In the 18th century, Ringwood was owned by members of the Agar family and the core of a still-extant house nearby was most likely built in the late 1730s by James Agar whose political ambitions were blighted by a long-standing dispute with one of the leading orators of the period, Henry Flood. The two men fought a duel in 1765 and then a second one four years later using pistols. Agar fired first and missed, he shouted ‘Fire, you scoundrel,’ and was promptly shot dead: although the deceased’s family brought a case against Flood for murder, he was found guilty of manslaughter in his own defence and freed. James Agar’s son George had a happier political career than his father, and was eventually ennobled as first (and last) Lord Callan. His prelate nephew Charles Agar became Archbishop first of Cashel and later of Dublin before likewise receiving a peerage as first Earl of Normanton. The Normanton seat today is Somerley, Hampshire which lies just a couple of miles away from a market town called Ringwood. 2013 being the bicentenary of the publication of Pride and Prejudice, inevitably particular attention is being paid to the novel’s author. Earlier this year, for example, a Jane Austen Society of Ireland was formed; one hopes its members will grant at least some notice to the writer’s Irish near-contemporary Maria Edgeworth who was much the better-known author during their respective lifetimes and whose books ought to be more widely appreciated in this country. A cheer too for Sydney Owenson, Lady Morgan whose 1806 novel The Wild Irish Girl is a remarkable piece of work. Be that as it may, various events have been taking place in Ireland in recent months to celebrate Jane Austen and her links here, not least through the three daughters of her brother Edward whose lives are recalled in Sophia Hillan’s 2011 book May, Lou and Cass: Jane Austen’s Nieces in Ireland. On Sunday October 6th Dr Hillan will be speaking about the three sisters at Salterbridge, County Waterford (seen above). Sitting high above the Blackwater, this is a most interesting house, originally built c.1750 but enlarged by the addition of a new front almost a century later. Salterbridge is the location for a day of Jane-ite festivities, since after Dr Hillan’s talk there is to be a splendid Regency lunch (guests are promised jelly shapes galore) followed by an afternoon performance by Vanessa Hyde of Empire Line Productions of ‘Ladies of Jane: Scenes and Musings from the Pen of Jane Austen.’ Those attending are encouraged to wear appropriate costume and rather charmingly, as in Miss Austen’s day, changing rooms will be available for those who wish to complete their toilette on arrival. 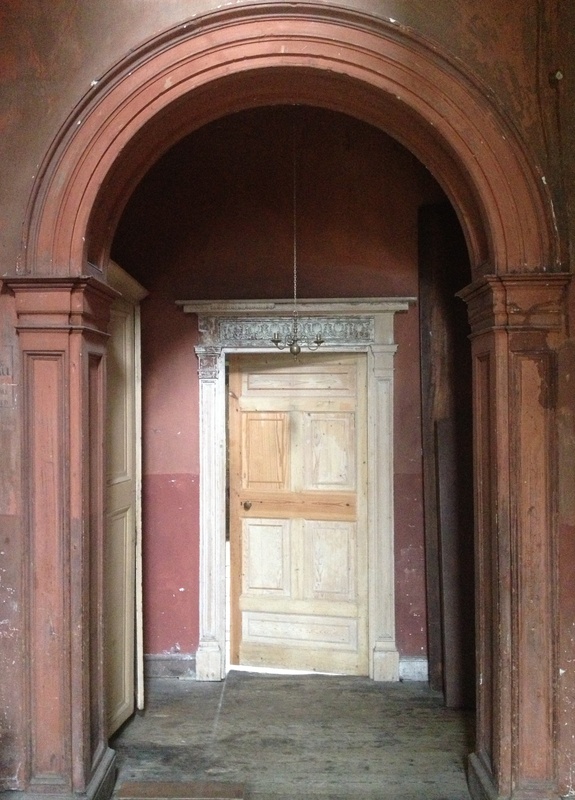 All proceeds from the occasion go to a restoration fund for Lismore Hall not far away. In recent weeks a succession of events in Dublin have commemorated the centenary of the Lock-Out, an occasion when many of the city’s larger employers, determined their workforce should not become trade-unionised, denied access to factories, yards and docks to anyone suspected of involvement in the movement for labourers’ rights. One of the consequences of this remembrance has been to recall how many Dubliners of the period lived in extreme poverty, occupying houses which had been built for the wealthiest members of 18th century Irish society but were subsequently divided into tenement dwellings in which entire families would rent a single room. It is worth pointing out, incidentally, that the owners of these properties were not absentee landlords but, as is made plain in James Plunkett’s 1969 novel Strumpet City (which deals with the 1913 Lock-Out), members of the indigenous Catholic haute bourgeoisie. The area north of the river Liffey was especially given over to tenement housing, a far cry from the circumstances in which these buildings had first been erected. 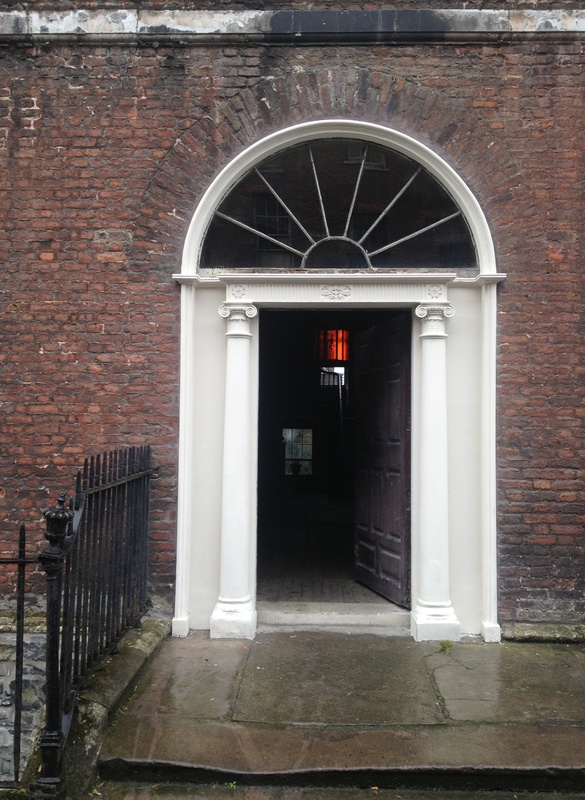 Such was the case, for example, on Henrietta Street, originally laid out in 1729-30 by the period’s most visionary developer, Luke Gardiner whose descendants would subsequently become Earls of Blessington. Gardiner’s ambitions are reflected in the size of the Henrietta Street houses, some of which are four- or five-bay wide, making them considerably larger than other terraced properties of the time. As befitted such splendid residences initially Henrietta Street was occupied by some of the wealthiest aristocratic families in the country; early occupants included the Earl of Bessborough, Viscount Mountjoy and Lord Farnham; a 1792 city directory lists one Archbishop, two Bishops, four peers and four MPs as living there. Together with its immediate neighbour to the north, No. 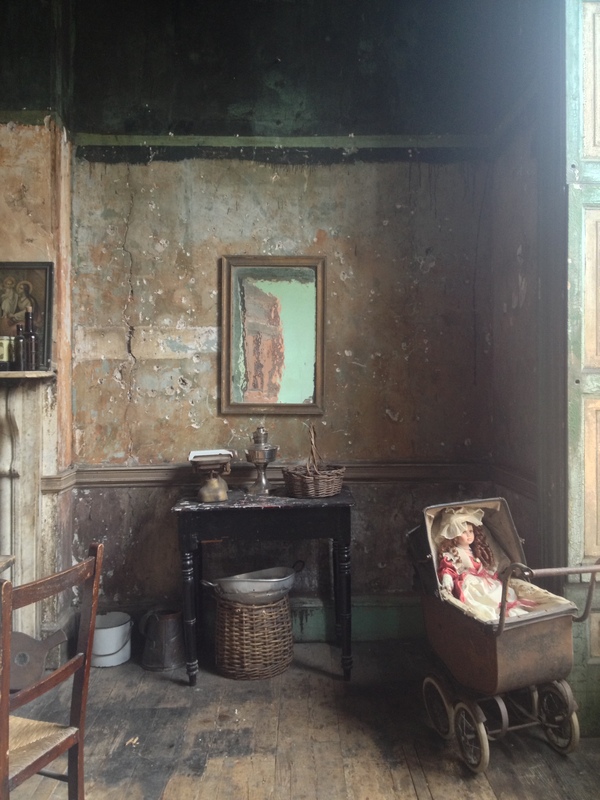 12 Henrietta Stree is among the earliest extant terraced houses in Dublin and dates from 1730-1733 when both were erected by Luke Gardiner with the intention of being either rented or sold. A surviving drawing for a stone-cut doorway by Sir Edward Lovett Pearce suggests that this pre-eminent architect had a hand in the design of the houses, although both have been so much altered since their original construction that only fragmentary evidence survives of their appearance when newly-built. In the case of No. 12, some of the greatest structural modifications occurred from 1780 onwards when Richard Boyle, second Earl of Shannon, decided to join the pair of buildings in order to create one vast town residence for himself. A descendant of the original Richard Boyle, the early 17th century Great Earl of Cork, Lord Shannon inherited considerable wealth and political influence from his father Henry Boyle who for a long time served as both Chancellor of the Irish Exchequer and Speaker of the Irish House of Commons. Seemingly described by Sir Robert Walpole as ‘king of the Irish House of Commons’ he eventually relinquished his seat there in 1756 when he accepted a peerage and became Earl of Shannon. Although his son never played as significant a role in the affairs of the country, even so he became known as ‘the Colossus of Castlemartyr’ (the name of his country seat in County Cork) due to the power he wielded by controlling so many electoral boroughs. If only for this reason, he needed to have a residence close to the centre of power in Dublin and thus settled on linking the two houses on Henrietta Street. Among the most significant changes made to No. 12 Henrietta Street after its acquisition by Lord Shannon was the removal of its main staircase and, on the first floor, the instatement of windows very much longer than their predecessors which, as was the fashion earlier in the century, had only dropped to dado level. Some of the wooden window and door frames appear to have been recycyled on the floor above, where they remain to this day. 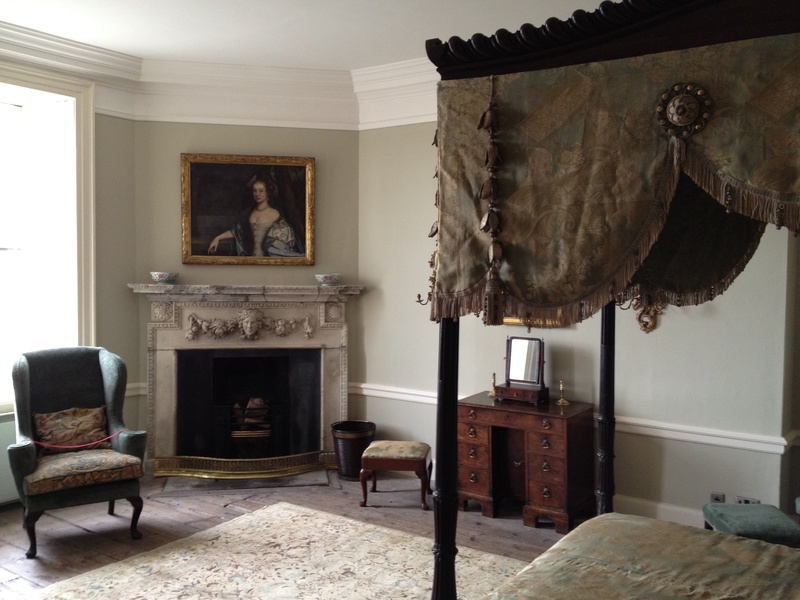 The piano nobile rooms were also re-decorated during this time with simple neo-classical plasterwork cornices designed by Dublin stuccodore Charles Thorp. What most impresses a visitor today are the height and volume of these spaces, and the purity of light with which they are suffused. The Earl of Shannon remained in residence until his death in 1807 after which the two buildings were once more divided. 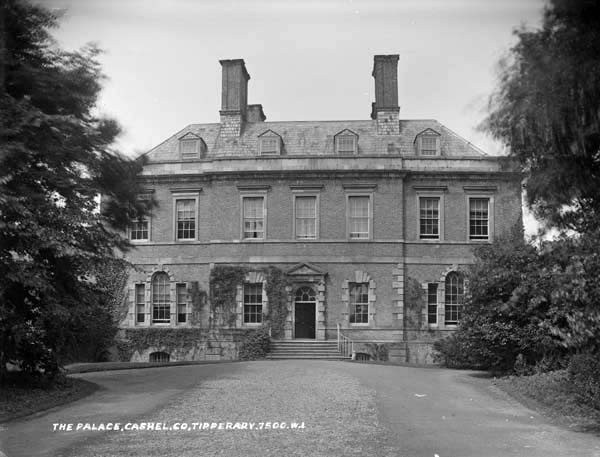 From 1821 No.12 was occupied by Captain George Bryan of Jenkinstown Park, County Kilkenny, known as the richest commoner in Ireland – although he suffered a dent in his wealth through the long and ultimately unsuccessful legal claim he made to a dormant Irish peerage. 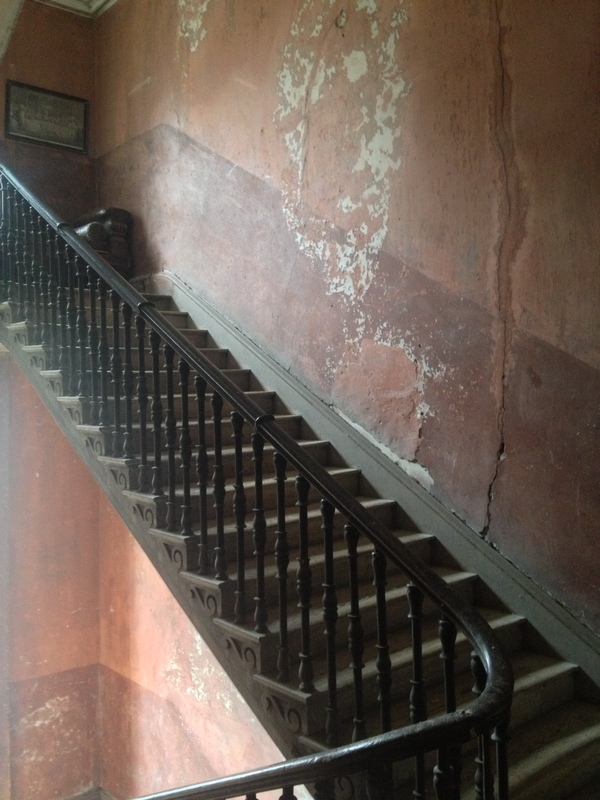 Presumably it was during his time that the present staircase was installed in the rear hall; its antecedent had been located immediately inside the front door as remains the case next door. Until the close of the 20th century, Captain Bryan was the house’s last owner-occupier since it next became offices for a solicitor and a Proctor before passing into the possession of the British War Office which from 1861 onwards used the premises as headquarters of the City of Dublin Artillery Militia. After which it went into precipitous decline and sunk into an open-door tenement building, remaining such until rescued in 1985. When No. 12 Henrietta Street came into the hands of its latest owner – who has since invested it in a legal entity called The Irish Land Trust – he had to undertake an enormous amount of work to secure the house. At the time of his acquisition there was extensive dry rot, deteriorating timbers, roof valley decay and many other daunting structural problems. All of these have since been resolved and the property can now look forward to a secure future. Some internal decoration has also been undertaken, not least the removal of internal partitions which had been fitted in order to accommodate more tenants. 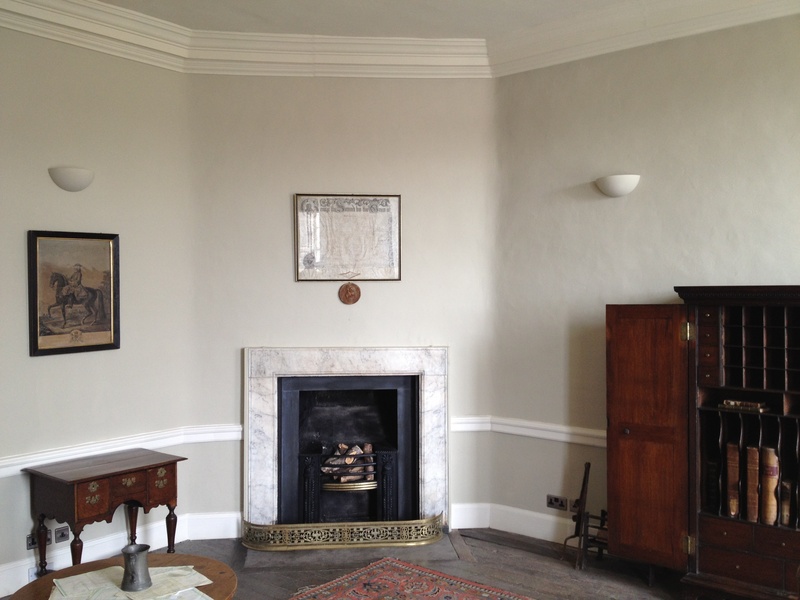 The original chimneypieces had long since been taken out and sold, as had all intercommunicating doors but the latter have since been replaced. Fortunately, buried beneath successive layers of linoleum, the original wood floors had survived, as had the window shutters. Despite its great size, the house does not hold very many rooms: just two on the ground floor and three on each of those above. 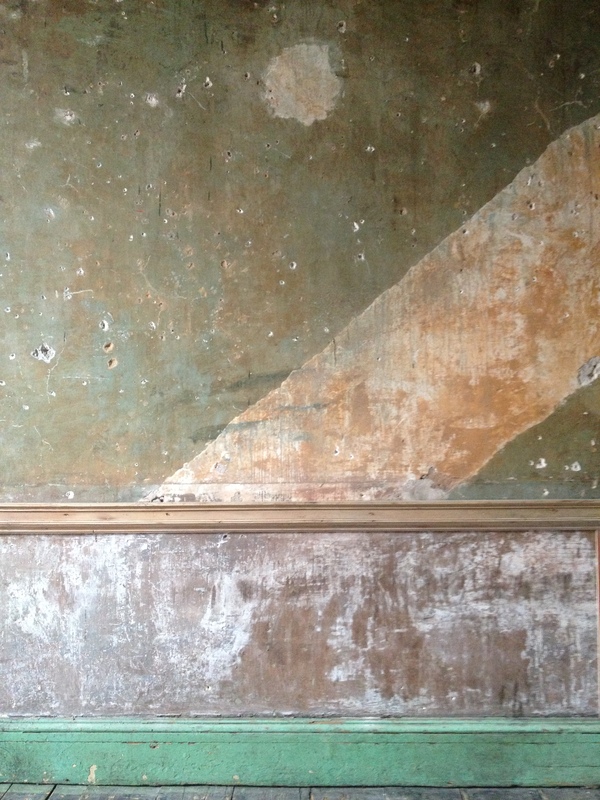 Limited financial resources means the interior has been lightly decorated, and in some places, such as the smallest of the first-floor rooms, evidence of the house’s use as a tenement has been retained: look at the way successive layers of paint were applied to walls only as high as could be reached by the inhabitants. One advantage of this light touch is that the building’s remarkable architectural qualities can be appreciated without the distraction of furniture and pictures. 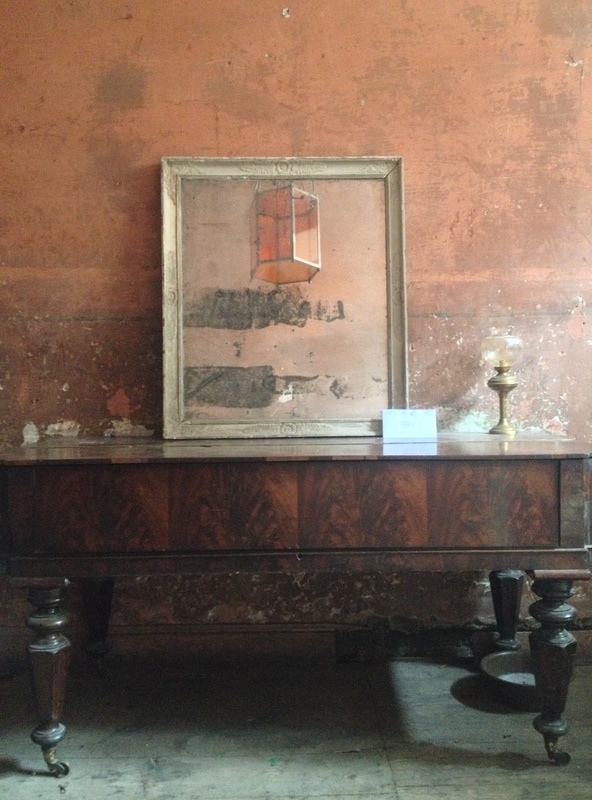 In particular the main reception rooms come into their own when lit at night by candles alone. 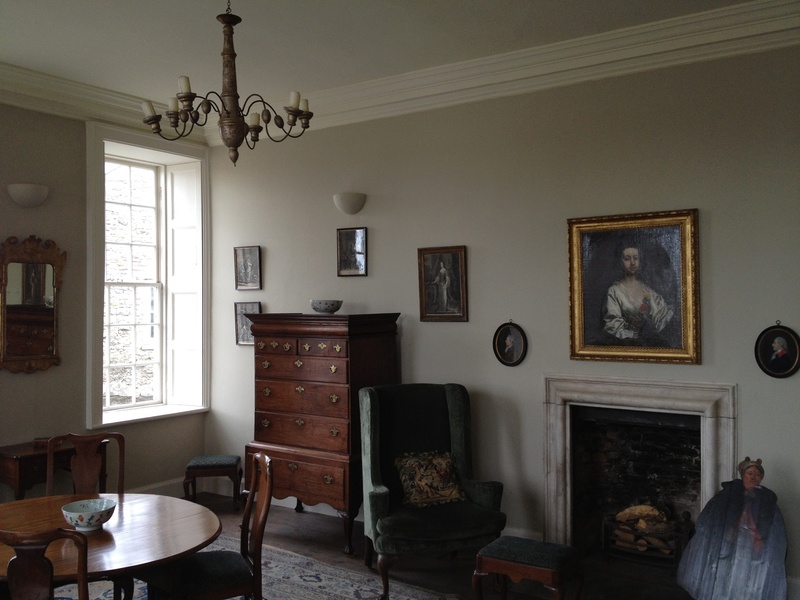 On such an occasion it is possible to imagine the house as it must have looked more than 200 years ago when the Lord Shannon was in residence and entertaining his political cronies. The sad tale of what befell the Dukes of Leinster in the last century, the loss of the family estates and the scattering of their inheritance, has been told so often that it does not need to be repeated here. Heads of the FitzGerald family and once princely figures in Ireland, the Leinsters no longer have any presence here, and their main seat Carton, County Kildare has metamorphosed into just another golf resort and spa. Over recent decades various FitzGerald heirlooms have come on the market, and next week more items will be sold by English auctioneers Cheffins of Cambridge. 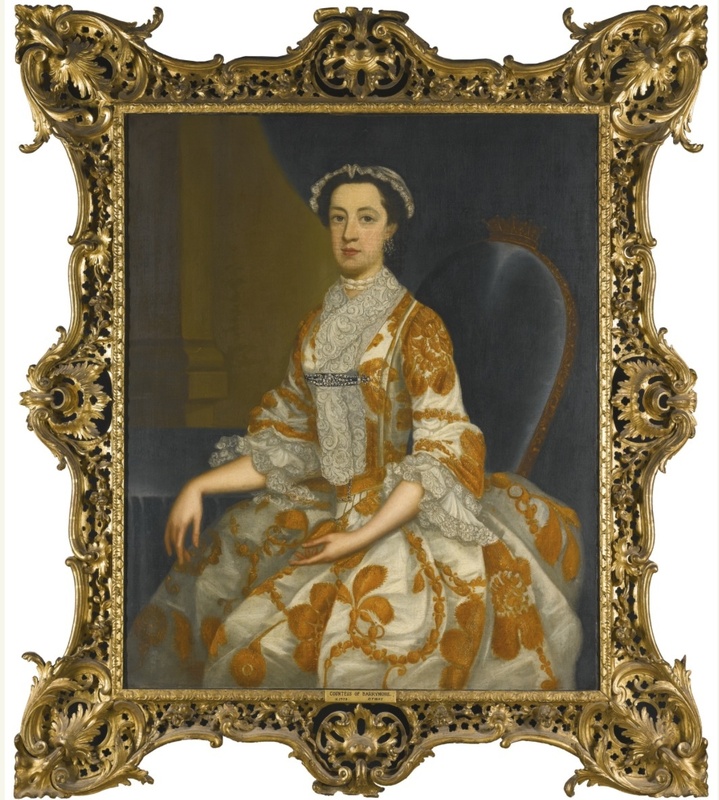 Some of the lots are significant: a series of family portraits executed in pastel by Hugh Douglas Hamilton; a set of George II mahogany and parcel gilt dining chairs; even Lord Edward FitzGerald’s ring, bequeathed on his deathbed to a favourite sister. 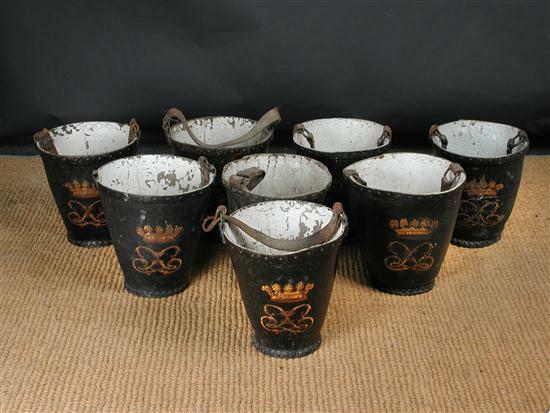 Yet somehow the more poignant items are the commonplace ones such as the set of eight George III leather fire buckets shown above. Each painted with the ducal monogram and coronet, they would once have been kept at Carton but now, following the rest of the house’s original contents, are set to join a general dispersal. 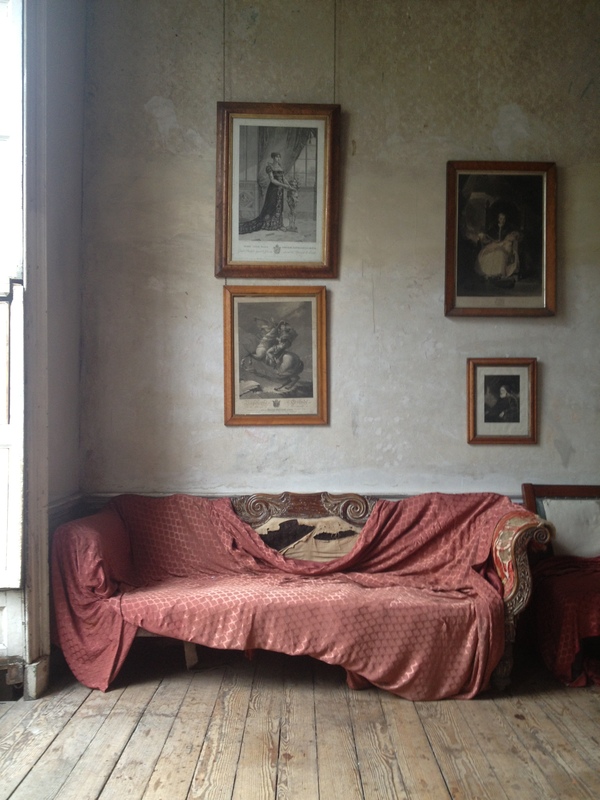 One ought not to become too sentimental about such matters, but still it is regrettable that these functional yet handsome mementoes of quotidian life in an Irish country house should be lost.